Replacement of priests who DO NOT want DOGS and BIRDS in the Matrix Grove in CIANORTE! We have come very respectfully to ask for your attention in what has happened in the Diocesan Sanctuary Our Lady of Fatima Parish and to request the replacement of the priests responsible for this act that has revolted the lovers of animals and nature in Cianorte, Paraná. 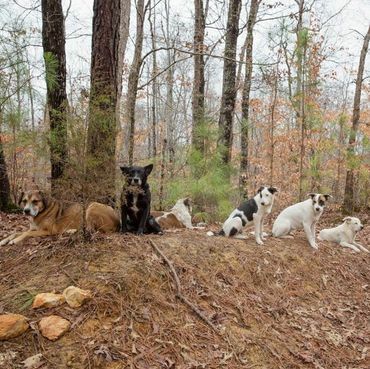 These priests, who are not going to mention the names to preserve them, have appealed to the Public Ministry to demand that street dogs be removed from the forest where they live, near the Matriz, where they are treated by elderly people who attend , being properly castrated and vaccinated, besides being extremely docile. Moreover, astound me Your Excellency, they demand that arrangements be made so that the birds that take shelter in the trees are driven from their branches! Yes, that's right. They are doing everything contrary to what Nope, St. Francis of Assisi and Pope Francis taught us. For years, there have been reports of them firing firefighters in the direction of firefighters when they nestle for the night or rest, especially in the late afternoon. They are also confronting, among others, the theme of the 2017 Fraternity Campaign, which according to Pope Francis was inspired by the passage from the book of Genesis 2:15, which says: "And the Lord God took the man and put him into the garden of Eden to plow and to keep it. " The pope also recalls that in 1979 the Brotherhood Campaign was already showing his concern for the planet by raising the theme "For a More Human World", in which he warned about environmental issues and human behavior in relation to the gifts of creation. They may be unaware of the existence of State Law 17.422 / 12 which ensures the right of the Community Dog, as well as the Municipal Law of Cianorte 4597/2015 and Federal Law of Environmental Crimes 9,605 / 1988. The population that signs the manifesto is revolted and thinks that the priests are replaced by others who respect the animals. Let the troubled ones withdraw! Birds and dogs do not bother us, bring us JOY! Below is the link ( https://bit.ly/2xVDBuT ) where you can also read other comments and opinions from residents and believers who are angry about the situation. We await your understanding and the quickest transfer. After all, it is easier to remove those who have no love in their hearts than birds and dogs that are pure in heart and belong to nature. Thank you very much) ! These priests have no doubt also banished from their vocabulary the words compassion, fraternity and respect. I wonder, should not they have changed jobs? 939 have signed. Let’s get to 1,000! Signed and noted. ty Animae.